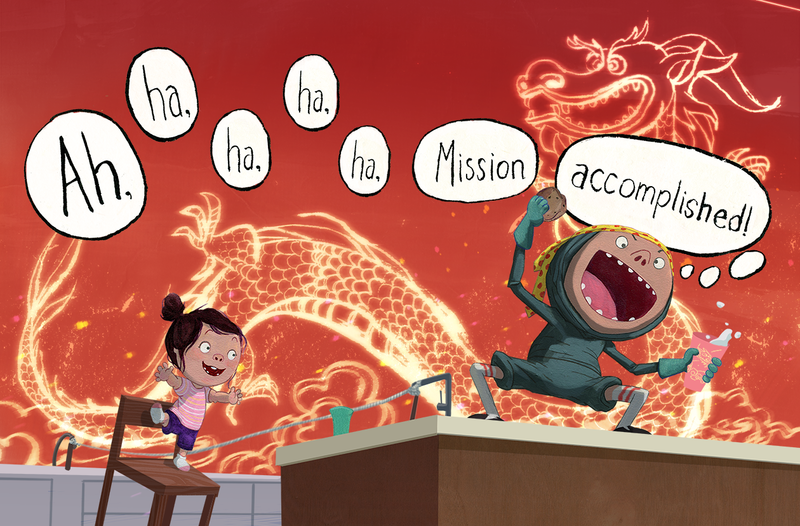 This week we feature the awesomely talented Arree Chung, whose debut picture book NINJA! was recently released in June. Enter the giveaway below of a signed copy of NINJA! Illustrating for children is a second (or third) career for you. Tell us about your journey to becoming a children's illustrator. The thought of illustrating and writing books for children still gives me chills because it really is a dream come true. I’ve always loved art but never thought about doing it seriously when I was growing up. Coming from a family of immigrants, my parents stressed education. Both worked really hard in blue collar jobs that paid minimum wages and they didn’t want to see my brother or I struggle financially. I wanted to make my parents proud, so when I went to college, I decided to major in biochemistry and become a doctor. Typical, right? In a few months time, I would change into Economics and upon graduating I worked as a litigation consultant. I basically became an expert at making spreadsheets and performing data analysis. I liked some aspects of it but overall, I was really bored. Then I got an artistic itch from a chance encounter with some art school students on a evening commute home. I was hooked on art and started drawing. Over the next few years, I would quit my consulting job for a position (production scheduler) at Pixar and then I took the leap and quit Pixar to attend Art Center College of Design. Quitting Pixar to attend art school was scary but it was one of the best decisions I’ve ever made. Art Center taught me the skills I needed to express myself. The technical skills of being an artist is learnable. Finding out what you want to say or make is the journey. From there, I worked in Video Games for many years but I really wanted to tell my own stories and have more control of what I wanted to make as an artist. It’s taken about five years, but I’ve finally broken through! What were the one or two key things that were your "big break" into the field? Society of Children’s Book Writers and Illustrators (SCBWI). I LOVE this organization and owe so much to them. It is probably one of the most kind, accepting and encouraging organizations that I know, and it’s simple to understand why. It’s a community of people who love books, children and believe that stories can change lives. I got my big break at the 2012 SCBWI Summer Conference, when I attended the Illustrator Intensive Workshop. NINJA! was made for a homework assignment given out to workshop attendees. 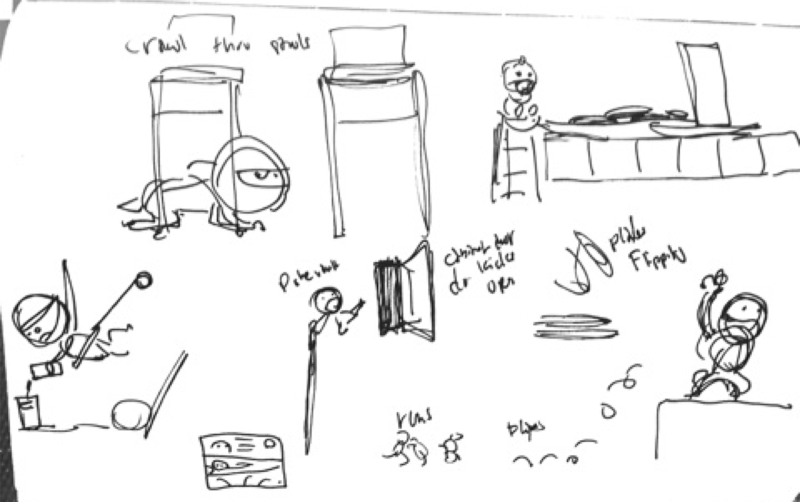 We were instructed to come up with a manuscript and thumbnails for an original story. That assignment helped give the motivation (fear) to challenge myself. I am such a deadline driven person! Without them, I’d be watching Sports Center. 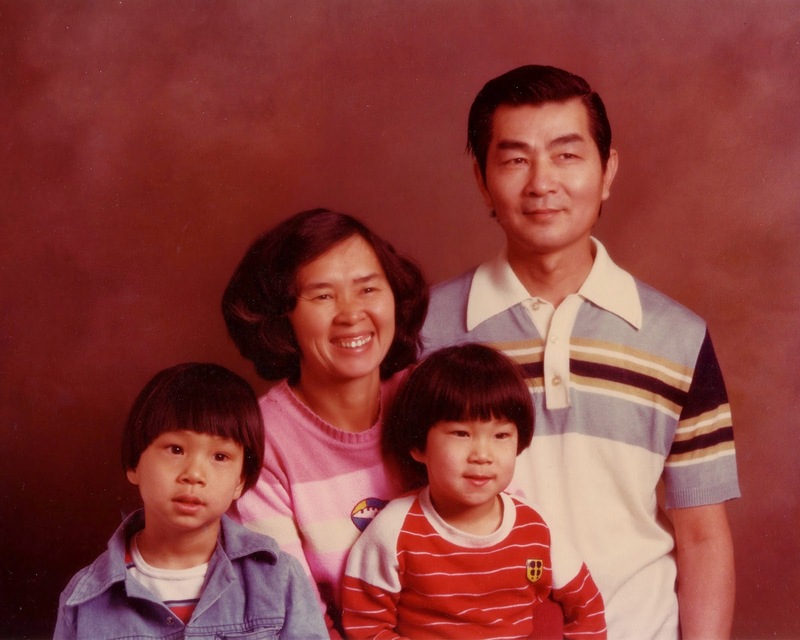 As a first generation Chinese-American like yourself, sometimes our parents' expectations while we were growing up didn't include artist or illustrator as career choices. How did this mindset (if it was the case) affect your career choices? How supportive have your parents and family been of your career changes? I love this question because it is such a common challenge for many Asian Americans, especially in my generation. As mention before, my parents worked tough menial jobs while I was growing up. My dad dreamed of me going to Stanford and becoming a professional. So early on in my life, I never considered being an artist. I just wanted to make my parents proud. I wanted to be “successful.” But something strange happened when I started working as a consultant. It just didn’t feel right. My inner voice started telling me to change and pursue my artistic endeavors, even if there was no traditional path to follow. Telling my Dad that I was going to go to art school instead of business school was not easy, nor was it popular. To tell you the truth, he still would have preferred an MBA over a BA in Illustration but it was MY decision to make. My mom has always been supportive in everything I do. She just wants me to be happy and she knows I try 110%. As in all families, there are mixed opinions on what you should do but ultimately you need to decide for yourself. Life is often a series of small choices that build up to a bigger result much later. The decision to go to Art School was a just the first choice that led me to living a creative life. 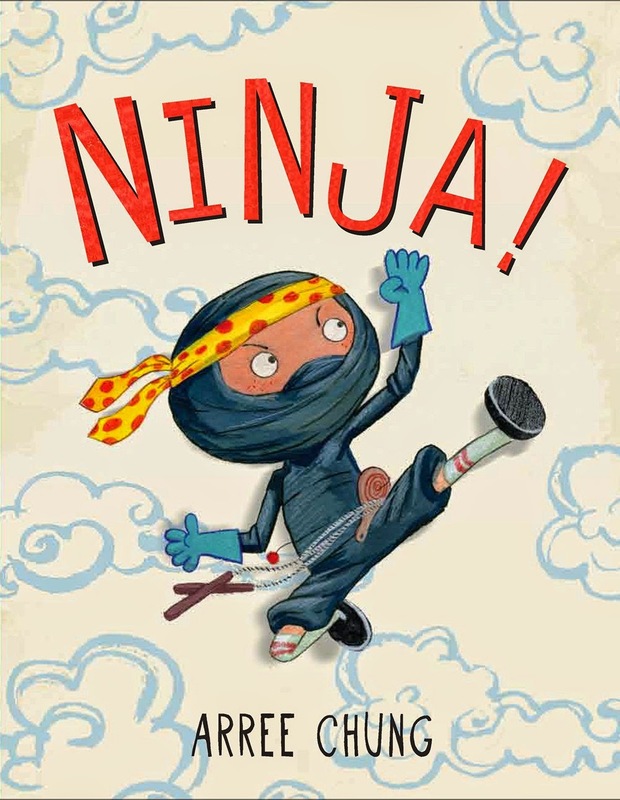 NINJA is your debut picture book. Tell us a bit about it. What was one surprising thing you learned about the publication process during the making of this book? Maxwell is a Ninja. He goes on a secret mission but when things go wrong, Maxwell must use his ninja skills to make amends. I was surprised with how many people have a hand in bringing your book to the shelves. It starts with you, your agent and your editor. Then it goes to design, art director, sales, marketing, publicity and buyers. Then reviewers, bloggers and librarians take your book and champion it, connecting your book to the right audience. Lots of things! More book projects! 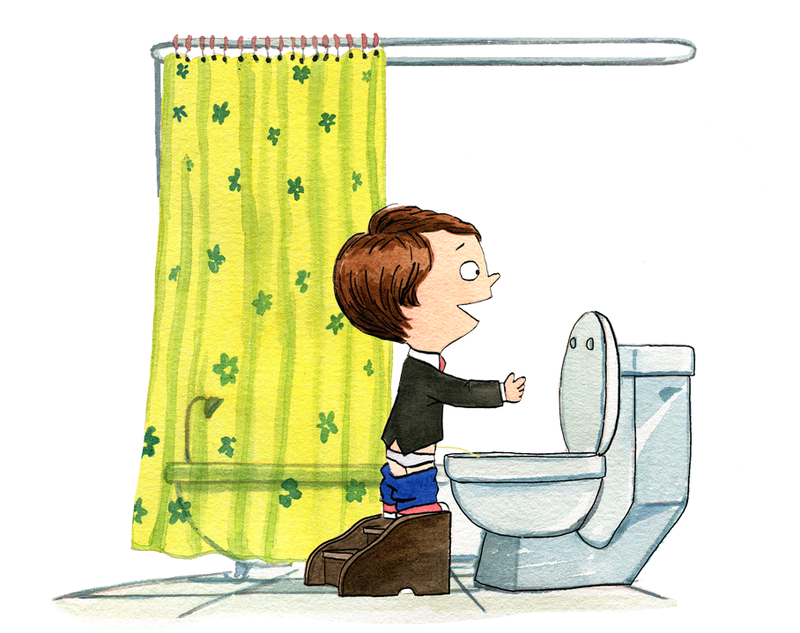 I have a series of inventive potty training books titled HOW TO PEE. There are two books, one for boys and one for girls. I’m working on my next picture book with Henry Holt(MacMillan), tentatively titled OUT. It stars a toddler, his dog and a few nefarious raccoons. I’m also illustrating a book for Harper Collins, written by Susan Hood. I’m really excited about trying out a new collage technique for that one. 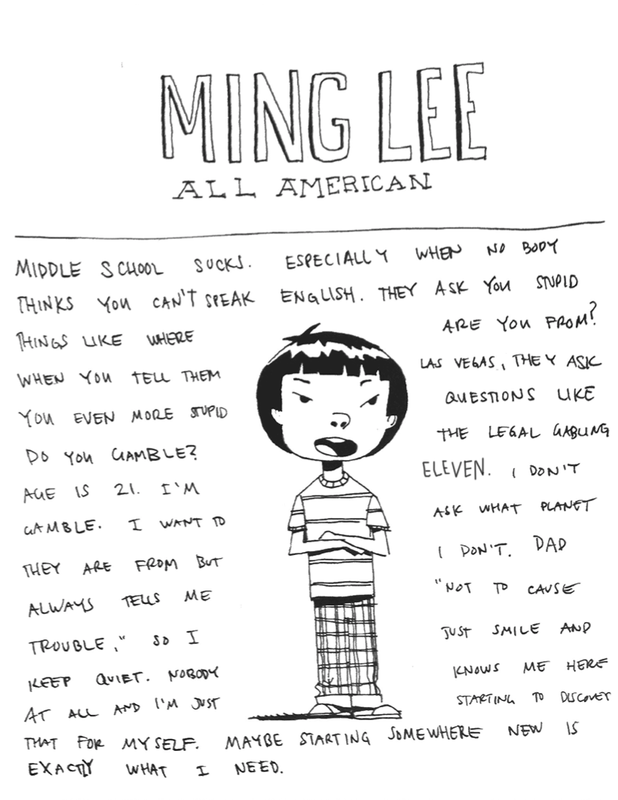 Oh and I’m also writing a middle grade novel, titled MING LEE. It’s about growing as an American Born Chinese. What is your typical process for illustrating? I make lots of thumbnails and dummies in the beginning. I am very sloppy, unorganized and extremely creative in the beginning. Anything goes. You are in the search for ideas and it helps when I’m free flowing. As you make choices, you narrow things down. Good storytelling is a lot like design. You think about what you want the reader to feel and you reduce until you find the heart of it. You keep on reducing/refining until your work is as punchy as it can be. Keep at it. Don’t give up. Find mentors and friends who have the same passion as you do. Don’t listen to naysayers but do seek out criticism that will improve your work. Rest when you need it. If you get angry, frustrated, use it as motivation. Just keep moving forward. It’s a marathon with yourself. Not a race against others. You’ll get there if you keep taking steps. I am a night owl turning into a morning bird. Arree Chung is the author and illustrator of NINJA! Before writing and illustrating books, he worked as a production scheduler for Pixar as well as an Art Director for educational and mobile games. You can find him sketching in cafes and riding his bike in the San Francisco Bay Area. Thanks for sharing this wonderful illustrator spotlight! 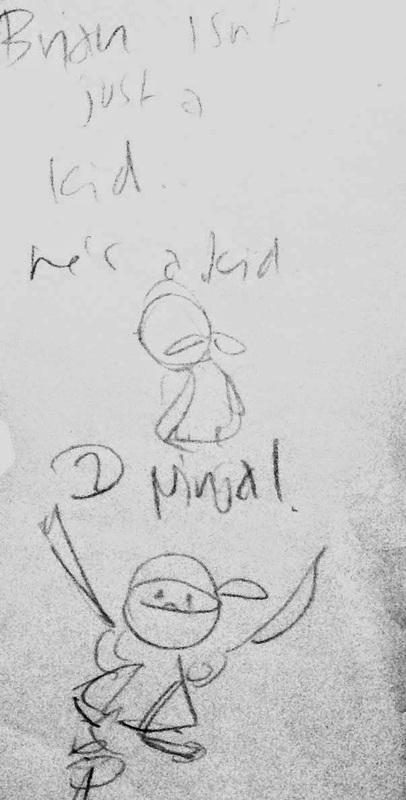 It's very inspiring and wonderful to see the process of how Ninja was made. I just ordered Aree's book for story time at our local library. Kung-Pow! can't wait to share it with the kiddos! I'm hoping the Ninja's sister gets to whirl in the spotlight too! Just getting "into the biz", so you Arree are a total inspiration! Loved learning about your creative process and am so thrilled for you success! Thank you for the Ninja book giveaway too! Can't wait to read Ninja. I just reserved it at my library. Love reading about behind the scenes in the PB market. I'm looking forward to reading NINJA and really excited to meet MING LEE - great opening page! I can relate to the multiple careers prior to finding your true passion... I think it's part of the process! My 10 year old will love this book! Congrats Kim MacPherson! You're the book give away winner. I'm mailing your copy of NINJA! with lots of doodles inside it. Hope you don't mind! That is too amazing, Arree!